HubPages is a famous free revenue sharing website for article writers. Everyone is welcome as long as they can write a decent hub (article) about something. You will earn money for clicks, views and purchases from the ads that you display on the same page as your articles. So basically, if you can write interesting articles that gets a decent stream of visitors you will be able to make money from HubPages. There are plenty of ways to make money on HubPages, some are better than others. The following ways are some of the most used ones and I would highly recommend them if you want to earn some money. 1. Making money through AdSense. Accoding to me, AdSense is one of the best way to make money from HubPages. AdSense is not owned by HubPages, it’s an ad network owned by Google. AdSense lets you earn a part of the revenue for each view/click on your ads. For example, if you write about making money online, you would be able to get about $1-$3 per click on the ads since there are a lot of advertisers competing against each other on those keywords. I have written an article already on how to make money with AdSense, you might want to check that one out. When you upload your AdSense ads on HubPages they will split the revenue 60/40 (in your favor) with you. So you will be paid for six out of each ten clicks on your ads. This is a pretty decent rate since you get to upload you articles on their website in return. The advantage of uploading your articles on HubPages is that HubPages has a very good standing in search engines like Google, therefore your articles have a much greater chance of ranking well and bringing in more money. 2. 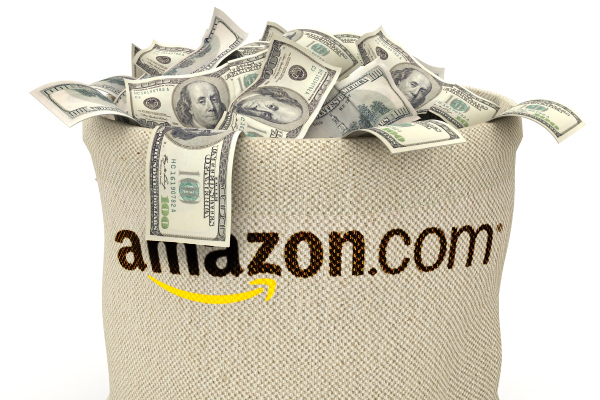 Making money with eBay and Amazon. This is a great way to make money from HubPages if you are reviewing/talking about products that can be bough from eBay and Amazon (literally everything). Let’s say that a new iPad or book is has just been released. Now you simply have to write something about it, such as a top 10 reasons to get it or a review of it etc. When you have written an article, upload it to HubPages and monetize it with amazon and/or eBay ads that are related to what you’re writing about. If the user find your article interesting, they might click on your ads and order the book or whatever you wrote about. Just remember that you need to convince them that the advantages of having the item exceeds the disadvantages. A good writer knows how to play on human emotions and will find this to be a very lucrative way of making money online, whether on HubPages or anywhere else. It’s also a smart move to write about products that are not yet released, that way you don’t need to worry as much about competition in search engines. 3. Using Kontera to make money. I have never really used Kontera to make money on HubPages, or anywhere else for that matter. But as far as I can see it’s kind of like InfoLinks, which I have used. So with Kontera you will be able to serve “in-content” advertising, meaning that words in your content will be hyper-linked to an advertiser using Kontera. Every time someone clicks on that link in your text you will earn a small amount of money. From my experience these things are barely worth it if you don’t receive thousands of visitors to your articles every day. Mainly because they earnings per click are so low, but also that it can be a bit annoying for your readers to have links everywhere in the content. If you’re using affiliate links in your content as well you might not get as many click on them since the Kontera ads distracts the reader. But, if you got a lot of articles and a lot of traffic to them, Kontera might be a good extra income source, so it’s not bad for everyone. 4. HubPages own ad program. This is a pretty new way (as I’m writing this) to make money on HubPages with. It’s basically an CPM (cost per mille) ad program run by HubPages themselves with premium advertisers. You will get paid a set amount of money for each view on your hubs. This is a very low amount of money, but it can quickly add up to great sums if you are able to get a few thousand hub views per day. HubPages claims that by using their ad program at the same time as AdSense the majority will be able to see a great increase in earnings, Even if it means less clicks on your AdSense ads. However, I would be a little bit cautious about this if I were you. Mainly because CPM ads require a great deal of traffic and that if you are writing about a really high paying keyword for AdSense, you don’t want to put up a bunch of low paying ads from HubPages. So if ou know how to do keyword research o find keywords that pay well, then stay away from the HubPages ad program. If you on the other hand are sitting with a lot of hubs that receive a great deal of traffic, but barely any clicks, then the HubPages ad program might be for you. 5. Making money with Affiliate Marketing. This is a great way to make money on HubPages if you do it right. It’s kind of like Amazon and eBay. You can use different ways to make money with affiliate marketing on HubPages, the most common is ClickBank and CPA networks. With clickBank you will be promoting digital products through your affiliate links/banners inside your hubs. For each sale you will get a set percentage of the profit (max 75%). With PA ads on the other hand you might earn money simply by getting people to download a game, signing up to a website or whatever. ClickBank usually earns you more money per sale, but the conversion rate can be more then ten times as big if you know how to use CPA to make money. Just remember that the same rule applies here as with Amazon and eBay. You need to convince your readers enough so that they will take action. You will also have make sure that you do not write overly promotional hubs or use more than two outgoing links per hub or they might be marked as spam and taken down. If you’re a member of a website that lets you use referral links to make money, then HubPages is a great way to recruit people from. There are plenty of programs that lets you use referral links to make money, some of them are Adf.ly, CashCrate, NeoBux and more. 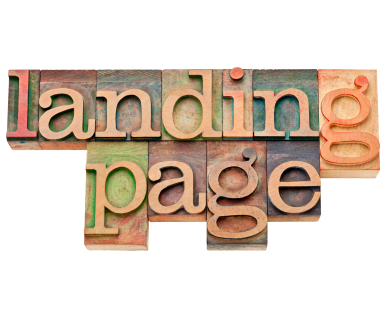 For each person you refer to their website, the more money you might potentially earn. Most often you will earn a percentage of all the money your referrals earn through their website. When you try to make money from websites allowing referrals you need to focus on quantity. Meaning that in order to make any money, you will most likely need to have a lot of referrals that are actively generating money for you. So it’s a great idea to write both inspiring and informational/fun articles about the website you’re liking to with your referral links. Help your readers see the value of the website, so that they want to make money from it as well. You could even offer personal training to people if they sign up under you, it’s works great and it will for sure make them even more interested. 7. Referring others to HubPages. So we just talked about referring people to other websites by using HubPages, but what about referring people from other websites to HubPages? It is possible to do this since HubPages has it’s own referral program, giving you a 10% cut out of all your referrals earned money. So if you get 10 people to join HubPages and each of them end up making $5 per day writing hubs. Then you will be earning $150 per month from them (30 days). The money does not actually come from your referrals, HubPages gives you the money from their pockets. This is a great way to earn money with HubPages if you know where to find talented writers that are interested in testing out new ways to make money online. As always, quantity is the answer here. The more people you get to join HubPages, the more money you will most likely make. If you also teach/help them with how to make money on HubPages, then the money will come even faster and in greater amounts. Don’t forget to do keyword research. Keyword research is the heart of Hubpages. It’s what keeps visitors streaming through it, generating money and keeping it alive. Keyword research can be a bit boring sometimes, but in the end it might be the difference between earning $1 per month or $200 per month. You should always get a unique and usually pretty long title for your hubs. Let’s say you’re writing iPhones. Do you think it’s best to set our title to just “Article about iPhones” or do you thing that “How to get an iPhone for half the price” is a much better title? Well let me help you by saying the second one is a lot better. It gives the reader an idea what the hub is about, it makes them want to fin out what you know that they don’t and it’s more unique, meaning a better ranking in search engines. Should I write for people or for search engines? This is a question that people ask themselves when trying to rank well in the search engines. My thoughts about this is to do a little bit of both. When writing for people, you should have a fluid text that is interesting to follow from start till end. When writing for search engines you will want to include your keywords in many different ways. By keeping the amount of keywords between 3%-6% your text will sound natural when reading and the search engines will understand what you’re writing about as well. Having an article with a good amount of keywords also ensure that your ads are targeted as well. To do keyword research you could either use the Google AdWord keyword research tool, or purchase a more advanced software to automatically find good keywords. You should look at the exact amount of traffic each keyword phrase gets monthly and the CPC (amount of money per click) that you will get from AdSense. A hub without backlinks will have a hard time ranking well in search engines, even though HubPages naturally ranks well. A good way to get backlinks is through forum posting, blog commenting, social bookmarking and linking between your hubs. Hubpages also has a built in system that allows you to link to other peoples hubs easily. By doing this your hubs will be able to get more traffic as other people might link to them as well. This is a great idea that barely any other article website uses. A crucial part of getting traffic to new/old hubs and getting people to trust you is to get friends. A hubber (person writing articles for HubPages) that has a lot of friends will hame a much greater chance of making money with HubPages. It is a great idea to first write a hub and then add a lot of similar minded people. This way, when the ones you added sees that you have added them, they will take a look at your profile and read your article (most of them will leave a comment as well) in order to get to know you better. When you start getting over 500 friends, you will be able to get a lot of readers to every article you write since it will say in their activity feed when any friend has written a new article. An easy way to find people to add is to click on My Account → Hop some hubs and then add everyone that you feel will be interested in your articles. Just make sure that you don’t use this way blatantly. No on likes people that are just adding them for their own profit. Make sure that you actually leave a comment at their page or hubs, or at least do something to make contact with them. Be Active on the website. By being active on HubPages you will be able to increase your income a bit. Bu participating in forums, the Q&A secion, commenting on others hubs and so on you will get a higher hubscore and hubkarma. You will also become more recognized and gain more valuable friends. Making money on HubPages is not for everyone. It might take a while to get the money rolling if you’re new to writing articles and get them read by others. But if you put some love and time in to it you will be able to profit from it. Some people rather prefer to run their own website or blog (like me) where they have total control of their income. But for someone less tech savvy, HubPages is a great alternative.